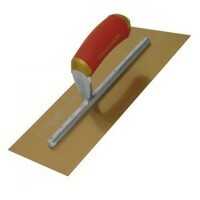 Marshalltown Pre Worn Gold Plastering Trowel 13" x 5"
Size 13in x 5in - 325mm x 125mm. Gold stainless steel blade. Bevelled edges preve..
Marshalltown Pre Worn Gold Plastering Trowel 11" x 4 1/2"
Size 11in x 4.5in - 275mm x 113mm. Gold stainless steel blade. 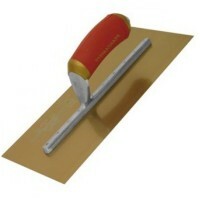 Bevelled edges pre..
Marshalltown Pre Worn Gold Plastering Trowel 16" x 5"
Size 16in x 5in - 400mm x 125mm. Gold stainless steel blade. Bevelled edges preve..
Marshalltown Pre Worn Gold Plastering Trowel 14" x 5"
Size 14in x 5in - 350mm x 125mm. Gold stainless steel blade. 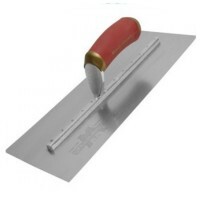 Bevelled edges preve..
Marshalltown MPB14SSD Permashape Trowel Features Blade size 14in x 5in - 350mm x 125mm. 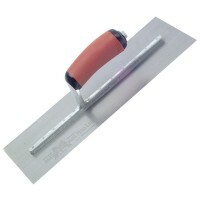 ..
Marshalltown Pre Worn Carbon Steel Plastering Trowel 18" x 5"
Size 18in x 5in - 450mm x 125mm. 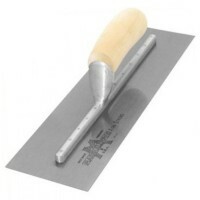 Plasterers trowel with 'pre-worn' shape which eliminat..
Marshalltown Pre Worn Carbon Steel Plastering Trowel 14" x 5"
Size 14in x 5in - 350mm x 125mm. Plasterers trowel with 'pre-worn' shape which eliminat..
Marshalltown Pre Worn Gold Plastering Trowel 12" x 5"
Size 12in x 5in - 300mm x 125mm. Gold stainless steel blade. Bevelled edges preve..
Marshalltown MPB13SSD Pre Worn Stainless Steel Plastering Trowel Features Blade size 13in..
Tyzack 13458BISF Stainless Pre Worn Plastering Trowel Features Size 13 inches x 45/8 inch..
Tyzack 14458BISF Stainless Pre Worn Trowel Features Size 14 inches x 45/8 inches blade. 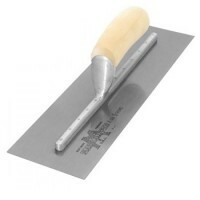 ..
Marshalltown Pre Worn Carbon Steel Plastering Trowel 16" x 5"
Size 16in x 5in - 400mm x 125mm. Plasterers trowel with 'pre-worn' shape which eliminat..
Marshalltown Pre Worn Carbon Steel Plastering Trowel 20" x 5"
Size 20in x 5in - 500mm x 125mm. 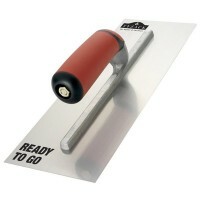 Plasterers trowel with 'pre-worn' shape which eliminat..